I love so much this kind of salads! 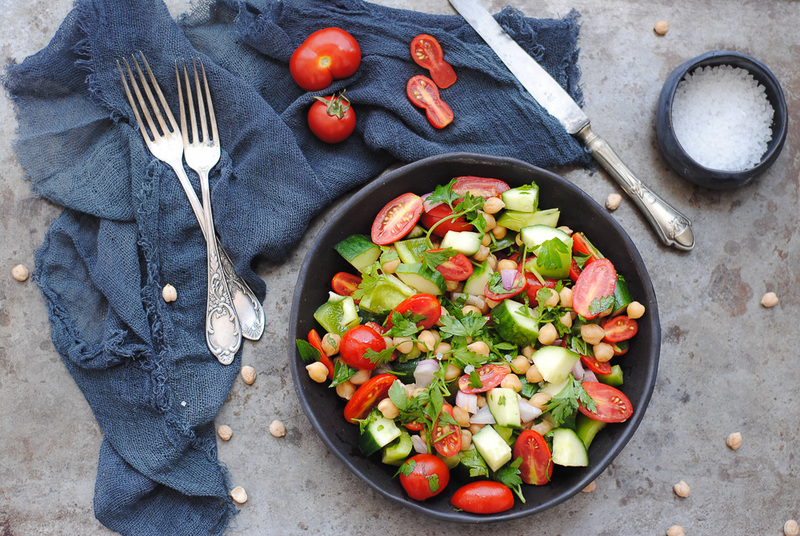 Putting legumes in salads, can transform them to a main, delicious and quick meal! They reduce the risk of cardiovascular disease, because they’re high on fiber, antioxidants, magnesium and potassium. 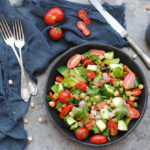 In addition, this dish contains all the summer vegetables that we would put in a greek salad! 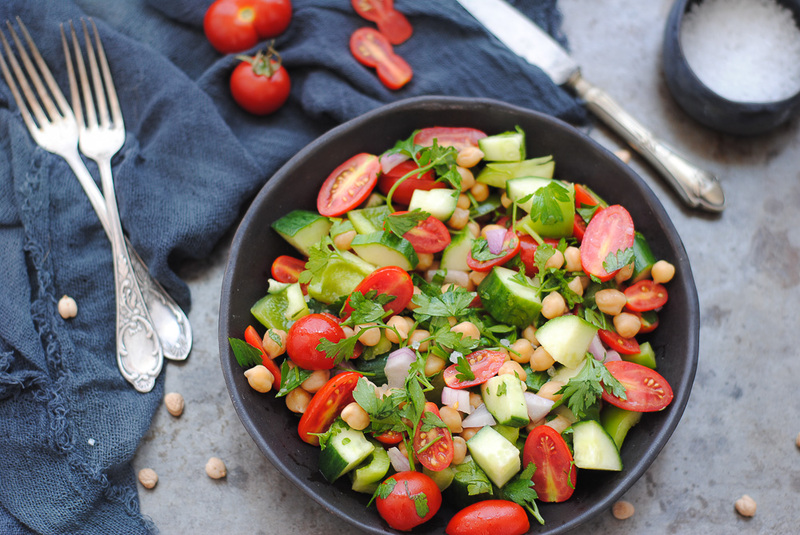 The result is so refreshing and delicious, that will make you to eat legumes every day! And as a cold salad, it’s fully customizable! You can replace the vinegar with a spoonful of lemon. And the zest, please! Add everything else you like. Baked carrots, some pickled vegetables, olives or rice would fit perfectly! So refreshing and easy to make! It could be an ideal dinner choice!